Note: students with 3 passes may also be considered depending on their aptitude. 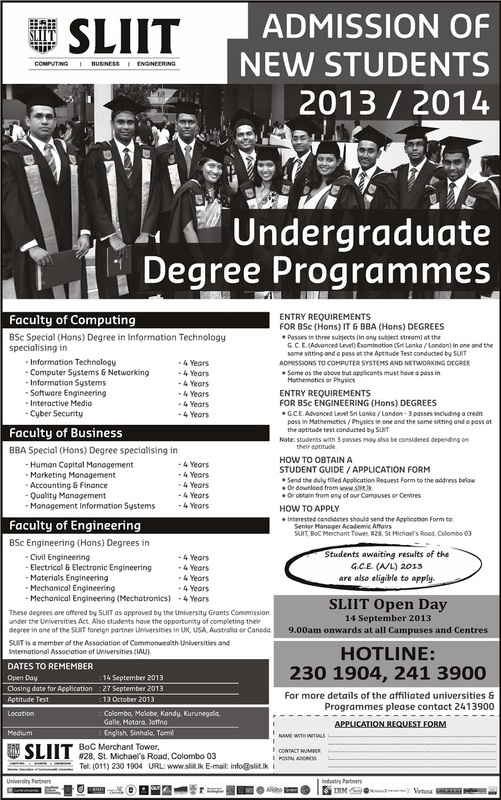 These degrees are offered by SLIIT as approved by the University Grants Commission under the Universities Act. 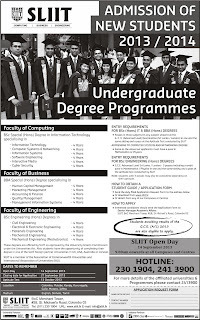 Also students hove the opportunity of completing their degree In one of the SLIIT foreign partner Universities In UK. USA. Australia or Canada. International Association of Universities (IAU).